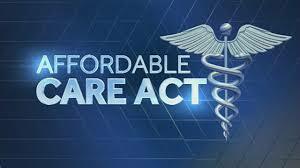 Explain the impact of the Affordable Care act on the population that it affected. The affordable care act has impacted variously on the population of North Calorina from the general population, players of the health insurance market, the Accountable Care Organization, and the government. The act has increased the number of people with insurance cover since it entitles everybody to an insurance cover regardless of the health condition or age. In fact, it imposes a penalty to the people without insurance cover. The insured get more essential health benefits from an insurance cover. According to the act, all insurance policies offer 10 compulsory benefits including maternity, laboratory services, emergency services, ambulatory services and the rest. The population enjoys a wide range of services than prior to the act. The act has changed the insurance companies ‘criteria for determining the premiums. With the implementation of the act, younger healthy people pay higher premiums to subsidize the premiums of older and less healthy people. Another impact is increased tax to the insurance companies and the citizens. According to the Carolina Journal news, the act has resulted to counties cutting working hours and jobs in the healthcare sector. A survey done on 2013 indicated that Robeson county reduced work hours for 367 part-time workers from 30 to 25 per week (Carolina Journal: Sep. 26th, 2013). Since the act entitles a 30 hour per week worker an employer-provided insurance, the county reduced work-hours to cut this cost. The implementation of the act has resulted to the people of North Carolina shouldering high taxes. For example, the Onslow County increased the tax burden by $1.2 million over the past three years to finance the increasing cost of Affordable Care. New employees, such as in McDowell county, lost the retiree insurance plan as a result of the act. The county scrapped the plan because the cost of maintenance of the plan was so exorbitant under the requirements of the act (Carolina Journal: Sep. 26th, 2013).